Ben is a popcorn purist: even with my prodding to break out of his popcorn rut he won’t entertain the idea of having any adornments except butter & sea salt. So for our planned Valentine’s movie night in I was kinda surprised when he said he’d try out some other popcorn flavorings, if I’d join him. 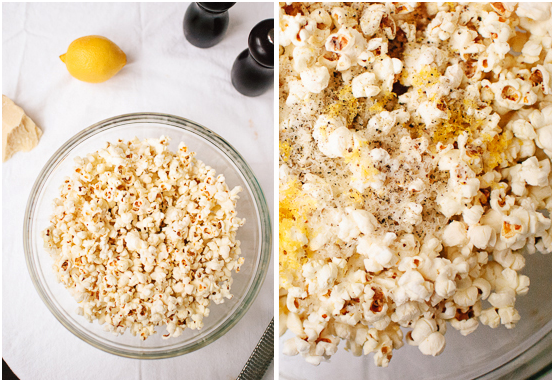 I’ve decided to try out Parmesan, Lemon & Black Pepper popcorn as well as the classic Butter & Salt popcorn I know Ben loves. Pour the butter over the popcorn, stirring to combine. 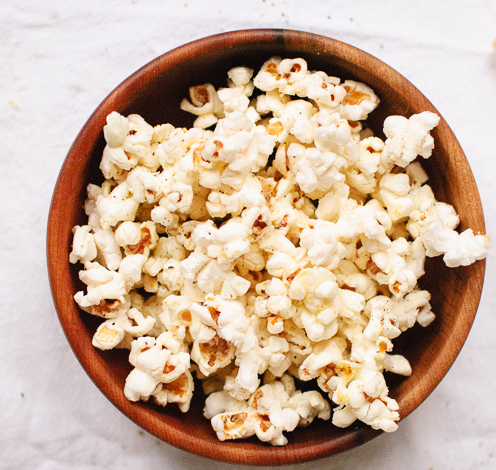 Use a Microplane or other small grater to grate some lemon zest and Parmesan over the bowl of popcorn, to taste. Add pepper and salt, to taste. Serve!